Hi, my name is Jessie Hagan. I first started working for You’re The Bride in 2008 as an Event Assistant. I had such a great time working with Tracie so when she asked me if I would be interested in her internship program I was ecstatic. After completing the program, I continued to work with Tracie as her assistant helping with blogs, timelines, vendor calls, and the most fun part going to all the vendor networking events. In 2011 I decided to part ways and go back to school to complete my Associate’s Degree. Planning events has always been something that I really enjoyed and I learned so much from working at You’re The Bride. In 2014 I finally got to plan my own wedding, which was incredible. 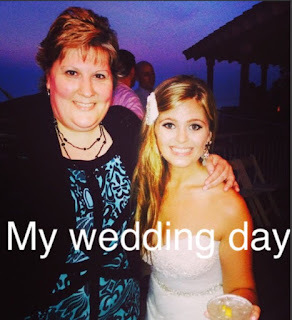 Tracie was there for me every step of the way and I was able to have my dream Lake Michigan wedding. I am blessed with a wonderful husband and two cute dogs. We love being active and doing yoga, biking, and boating. I am very excited to be back at You’re the Bride and help brides make their wedding day perfect!